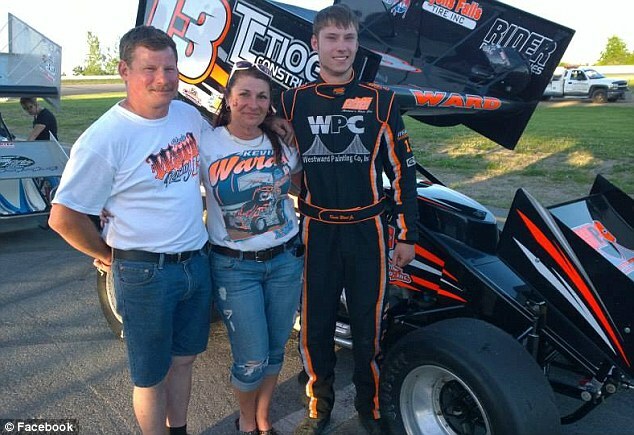 A champion NASCAR driver is to announce he is stepping down from racing - a year after the crash which killed Kevin Ward. 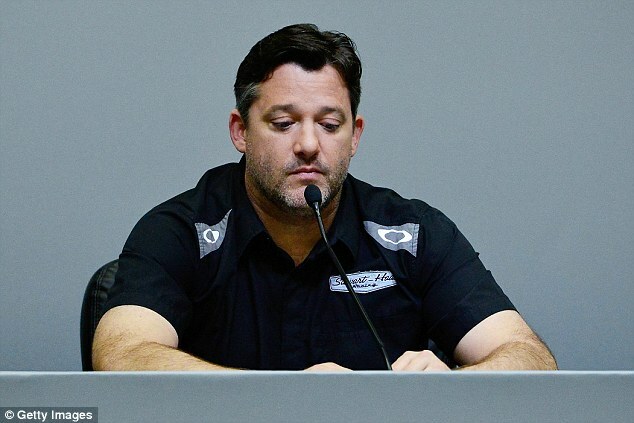 Tony Stewart will say he is retiring from the sport following the 2016 season during a news conference at his team's headquarters in Kannapolis, North Carolina on Wednesday, sources say. The move follows a difficult year for the veteran driver whose racing accident on August 9, 2014 resulted in the tragic death of Ward Jnr. Clint Bowyer appears to be the most likely candidate to replace Stewart in 2017 after he was released from his contract with Michael Waltrip Racing - which folds at the end of the season, reported CBS News. This past April 15, the first of four unusual lunar eclipses began. They will occur at approximately six-month intervals—the next being October 8, then April 4 and September 28 of next year—and will be visible across North America. Astronomers call this a lunar eclipse tetrad. The last tetrad occurred over 2003 and 2004. Eight more such tetrads will occur before the year 2100. Scientists at the National Aeronautics and Space Administration (NASA) consider the most notable thing about the current tetrad is the fact that all four eclipses will be visible to most Americans, assuming the weather cooperates. However, a large portion of the American public is keenly interested in the tetrad for more than the artistry created by night sky astral body dancing. Two bestselling, prophecy-leaning authors believe the tetrad is directly related to a prophecy found in Joel 2:31: “The sun shall be turned to darkness, and the moon to blood, before the great and awesome day of the Lord comes” (English Standard Version). These two men and their books—Blood Moons by Mark Biltz, and Four Blood Moons by John Hagee—have received widespread media attention because of the fervor and alarm they have created among religious-minded people. Is it possible this astronomical event has something to do with dramatic end-time prophetic events? The answer may surprise you. The Prince of Wales stood in solemn silence yesterday as he took part in a centenary memorial service in Dundee to honour the British troops who lost their lives at the ill-fated Battle of Loos. And among the 20,000 soldiers who died during the largest First World War battle on the Western Front, there was one brave soldier in particular whose heroic sacrifice the Royal Family will never forget. Fergus Bowes-Lyon, son of the 14th Earl of Strathmore, elder brother to the Queen Mother and the uncle Queen Elizabeth II never met, died 100 years ago today after leading his men into the face of the enemy. 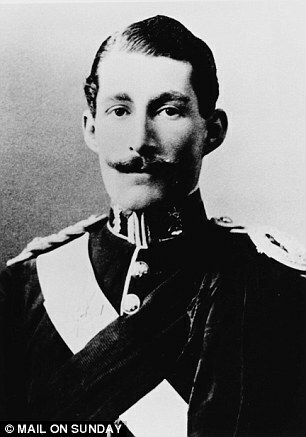 Yet for the best part of a century the Royals have not known his final resting place, or the full details of how he led an assault on the most heavily defended part of the German lines, had a leg blown off and was repeatedly hit by machine-gun bullets, before dying an hour later as his sergeant tried desperately to keep him alive until medical assistance arrived. Such was the chaos and carnage of the battle that the precise details of the death of the Queen Mother’s beloved brother ‘Fergie’ have remained a mystery – until now. But after years of trawling his family’s archives and discovering long-lost letters, the true heroism of the Queen’s uncle has been unearthed by Fergus’s grandson James Voicey-Cecil. It is an astonishing story that, without his search, would have been lost to history. The Battle of Loos, which Winston Churchill later called a tale of ‘sublime heroism utterly wasted’, was the first in which Lord Kitchener’s New Army of patriotic volunteers – rapidly trained and sent to France after answering the call of his famous recruitment poster – were pitched against the well-defended Germans. After a four-day artillery barrage that proved to be largely ineffective because of a shortage of big guns and ammunition, a British force of 75,000 men, including about 30,000 Scottish troops, marched across open fields in full view of enemy guns. The result was slaughter on an unprecedented scale, not helped by the fact that the Army deployed poison gas for the first time, some of which blew back towards the troops and settled in the trenches and craters that provided their only cover. More than 8,000 British soldiers were killed on the first day of the battle alone, with the brunt borne by the Scottish regiments. The 8th Battalion, Black Watch, in which 26-year-old Fergus served as a captain, lost 511 men; the 9th Battalion lost 680. Of the 20,598 names on the war memorial on the Loos battlefield, which commemorates soldiers with no known grave, a third are Scots. Today is the Day of Atonement and IT IS FOR CHRISTIANS! I know many Christians in the world understand that Jesus Christ, a Jew, followed the Old Testament (Mosaic) holidays. Probably fewer comprehend that for nearly 100 years after the death and resurrection of Jesus, His followers still observed the same holy days. Clearly, if the day began in the evening, the writer would not say that the fast starts on the evening of the 9th! It would have been, the evening of the 10th! NOWHERE ARE EVENING DAYS JUSTIFIED IN YOUR BIBLE! Any honest biblical scholar knows that the Bible shows the day beginning with LIGHT. "Let there be light"- and the first day began! Clearing up the misconception of the true calendar, why do Christians observe this Holy Day? The answer is simple. They are following the example of Jesus Christ, His apostles, and the true Church of God of the first century! The church of the Apostles continued to observe the annual holy days established by God in the Old Testament, including the Day of Atonement for over a hundred years, until a great FALSE CHURCH in Rome changed it! They claimed the right to do so! "The Pope has the power to change times, to abrogate laws, and to dispense with all things, even the precepts of Christ." "The Pope has the authority and often exercised it, to dispense with the command of Christ." -Decretal, de Tranlatic Episcop. Cap. (The Pope can modify divine law.) Ferraris' Ecclesiastical Dictionary. On the Day of Atonement, Christians humble themselves before God by fasting, remembering the awesome sacrifice of the Lamb of God, the Messiah, Jesus Christ, whose blood atoned for our sins. The Hebrew word for Atonement literally means “to cover over.” Our death penalty has been paid for us, and our sins have been buried, or “covered over.” In ancient times, the high priest enacted a fascinating, meaning-laden ritual of purification and atonement for his sins and the sins of the people. Study Leviticus the 16th chapter to understand all the types. Two goats were to be presented by the priest before God. One was "for the Eternal," and the other an Azazel, called a "scapegoat." The Azazel goat was to have all the sins of Israel symbolically placed upon its head, and then was to be led in the hands of a "fit man" who would not allow the goat to turn back into the distant wilderness, where it would be released. Contrary to popular belief, this goat represent Satan and NOT CHRIST! God's gracious act of love toward us, is taking our sins (forgiving them through the blood of Christ-the first goat) and placing them on our scapegoat--- SATAN! Yes, we blame Statn for our sins, but in reality, most of our sins are OUR SINS, not Satan's! Satan just gets the punishment fore them, hence Satan is our scapegoat! In the New Testament we read, "Neither by the blood of goats and calves, but by His own blood He entered once into the holy place, having obtained eternal redemption for us..." (Hebrews 9:7-12). Paul wrote, "Moreover He sprinkled with blood both the tabernacle, and all the vessels of the ministry. "It was therefore necessary that the patterns of things in the heavens should be purified with these; but the heavenly things themselves with better sacrifices than these. "Nor yet that He should offer Himself often, as the high priest entereth into the holy place every year [on the Day of Atonement!] with blood of others...but now once in the end of the world [age] hath He appeared to put away sin by the sacrifice of Himself" (Hebrews 9:21-28). As you can see from Paul's example, to understand Christ's mission for us, we have to understand the Holy Days that Christ Himself created! Christ is the LORD of the Old Testament, not God the Father! These Holidays were made to show the way to HIS EARTHLY MISSION! Without these days, we cannot understand the gift of God! We are to follow this day, like all of the Holy Days, not in remembrance of ancient Israel, but as a tribute to the God who freed our souls from death! This is way we do the Fast CHEERFULLY and with a solemnity as well. This video shows that the supposed clock invention by a 14 year old is in fact not an invention. The 'clock' is a commercial bedside alarm clock removed from its casing. There is nothing to indicate that the clock was even assembled by the child. I suspect this was brought into school to create an alarmed reaction. So, Mark Zuckerberg, Mr. President, Make Magazine (which should know better), and others: You've been duped. Please do recognize youths of all backgrounds who create wonderful inventions with electronics. The kid making press around the world did not invent or build a clock. Will Pope Francis be the last pope? So, where did all these rumors come from? St. Malachy was the Archbishop of Armagh, Ireland. He claimed he experienced a vision while visiting Rome in 1139 AD. He said he saw every pope that would exist from the time of his vision until the last pope. The last pope would be the 112th from the time of his vision. Malachy also stated that God would judge His people and the city of Rome would be destroyed during the reign of the last pope. In Malachy’s vision, a clue was given as to the identity of each pope, including the 112th one. The clue for the 112th pope was “Peter the Roman”. St. Malachy wrote his vision of the popes down, and it is believed the manuscript was given to Pope Innocent II. The prophecy of the popes was then deposited in the Vatican Secret Archives and forgotten until its rediscovery in 1590. Malachy’s vision was then published in 1595 and has circulated on and off ever since. It was not until 2005 that Malachy’s prophecies began to attract a lot of attention. Pope John Paul II was on his deathbed. Someone noticed that he was the 110th pope from Malachy’s time. That meant the next pope would be the 111th and then, if Malachy’s prophecy were true, the 112th pope would be the last pope. To some that meant the end of the world would then come. On April 19, the very next day after Alikhany’s article, Cardinal Joseph Ratzinger of Germany was elected as the new pope. Everyone breathed a collective sigh of relief. After all, there was no such thing as a “Ratzinger olive”. It looked like the St. Malachy prophecy had failed. However, Ratzinger announced the name under which he would occupy the papacy—Benedict XVI. There is always a reason behind the names that new popes choose to reign under. So, why Benedict? The original Benedict became the founder of the Benedictine order, one of the most prominent orders in the Roman Catholic Church. And the symbol of the Benedictine order? The olive! Now Malachy’s prophecy seemed more credible than ever! Benedict XVI was 78 years of age when he began his papacy. Because of his advanced age, it was obvious that his reign as the Bishop of Rome could not last too long. Everyone understood the next pope, according to St. Malachy, would be the last pope. Malachy also said the church would be judged, Rome would be destroyed, and implied that the end of the world would come during this final papacy. The question on everyone’s mind was: How long till the 112th pope? Rush Limbaugh spent some time addressing the leaked encyclical from Pope Francis on man-made global warming. "Look, folks, you know, I hate saying I told you so all the time," said Limbaugh. "But when it needs to be said, I do not shrink from it. ... This guy sounds like a Marxist." If reports on the leaked papal letter prove to be true, Limbaugh said, it appears that Pope Francis has accepted the left's major premises on climate change. "Every other word seems to be about how unfettered capitalism is destroying the world and how the rich countries have to give more money to the poor countries to make amends," Limbaugh said. "I mean, that's -- call it what you want -- Marxism, socialism, what have you. But if this thing is real, then it leaves no doubt here what the political leanings or inclinations of the of the of the pontiff are." Fiorina is running for president in part on her record in the business world, as a former executive at AT&T, Lucent and Hewlett-Packard. On the surface, that might seem like a hard sell, given that she was fired as chief executive of HP less than six years after she took the helm in mid-1999. “Carly Fiorina’s time at the top of HP was a disaster” is the subhed for a Bloomberg articlethat recently appeared in The Chicago Tribune. So let’s check each of these claims as she framed them. The campaign directed questions to Fiorina’s Super PAC, Carly for America. I have a good memory. I guess some do not. Carly upset with Trump's remarks against her looks? How about the time 5 years ago she was caught in an unfortunate open mic incident, mocking her then rival Sen. Barbara Boxer's hair! Fiorina mocks Boxer's hairdo, while Laughing to her staff that someone had seen Boxer on television and "said what everyone says, 'God what is that hair?' So yesterday!" Did all women hear that remark too! Boxer, by the way destroyed her at the polls, easily beating the one time HP CEO, who was fired for incompetence. Today, we see Florin constantly on Sean Hannity's TV Show, yet 5 years ago, she really let the world (again in open mic slip) what she thought of Hannity--"I find it really surprising that on the first day of the general Meg Whitman is going on Sean Hannity," Fiorina said, while reading her BlackBerry. "I think it's bizarre ... I think it's a very bad choice actually. You know how he is." Hannity is what? A conservative - not a RINO insider? So, as anyone with a memory can see, Carly Fiorina is just a hack. Give her enough exposure, and see will bomb like she did 5 years ago running against the most liberal Senator from her state, and as she did 15 years ago at HP. We do not need another bimbo. KADESH IN THE BIBLE. In the Hebrew Bible, a place called Kadesh—also known as Kadesh-Barnea—was an important stop during the Israelites’ wilderness wanderings. Where is Kadesh? The site of Tell el-Qudeirat in the northeastern part of the Sinai Peninsula is considered to be the best candidate.Photo: Israel Antiquities Authority. According to the Bible, the Israelites stayed at a place called Kadesh following their Exodus from Egypt and wanderings through the desert. Kadesh—also called Kadesh-Barnea in some Biblical passages1—was where Moses’ sister Miriam died and was buried (Numbers 20:1) and from where Moses sent 12 men to spy out the Promised Land (Numbers 13:26). Where is Kadesh-Barnea? Investigations since the early 19th century have attempted to find the site. Tell el-Qudeirat, located in the valley of the Wadi el-Ein in the northeastern part of the Sinai Peninsula, is the best candidate for Biblical Kadesh-Barnea, according to scholarly consensus today. Excavations conducted at Tell el-Qudeirat and its surroundings in 1914 by Leonard Woolley and T.E. Lawrence and between 1976 and 1982 by Rudolph Cohen have revealed the ruins of three Iron Age (Israelite) fortresses. 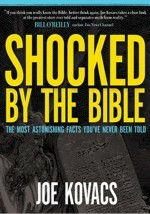 However, the archaeologists uncovered no evidence dating before the 10th century B.C.E.—the time of King Solomon. There appears to be no evidence, therefore, that Tell el-Qudeirat was occupied during the time of Moses and the Biblical Exodus.2What do we make of this? Why Didn’t the British Monarchy Collapse Along With the Empire? Queen Elizabeth II surpassed her great-great-grandmother, Queen Victoria, to become Britain’s longest-reigning monarch today. She was 25 years old when she ascended to the throne in 1952. Despite the demise of the British Empire during her reign, the throne remained strong. On today’s program, Stephen Flurry explores Bible prophecy to explain the profound truths behind the history of Britain’s monarchy. When King Edward I captured the Stone of Destiny in 1296, he immediately had a coronation chair built to contain the Stone. Why? Listen to the Trumpet Daily each day at 7:00 am (CST) on KPCG.fm. When Queen Elizabeth II was crowned in 1953, she was seated on King Edward’s chair, which contained the stone of destiny. King Edward captured that ancient block of sandstone from the Scots in 1296, and then ordered a coronation chair to be built that would enclose it. Perhaps no object embodies the history of the British peoples better than the stone of destiny. But have you ever wondered why the stone of destiny? Many Britons today have forgotten this vital history or are in willing ignorance of it. They fail to tap into the inspiring legacy left by this magnificent symbol. This knowledge has become embarrassing to the British. In The United States and Britain in Prophecy, Herbert W. Armstrong explains the incredible history of the stone of destiny and why it is relevant for the peoples of Britain today. This book reveals the unbelievable journey of the stone of destiny as it has traveled through history to its current residence in Britain. The people of Britain sorely need to understand the importance of this stone. Britain’s poor condition today has a lot to do with the way it views this history. But there is hope for this ailing nation, and it revolves around the stone of destiny. This stone is not merely some relic of history—but it actually has everything to do with the inspiring future in store for Britain. There is hope for Britain, and it revolves around the magnificent, unbelievable history of the stone of destiny. 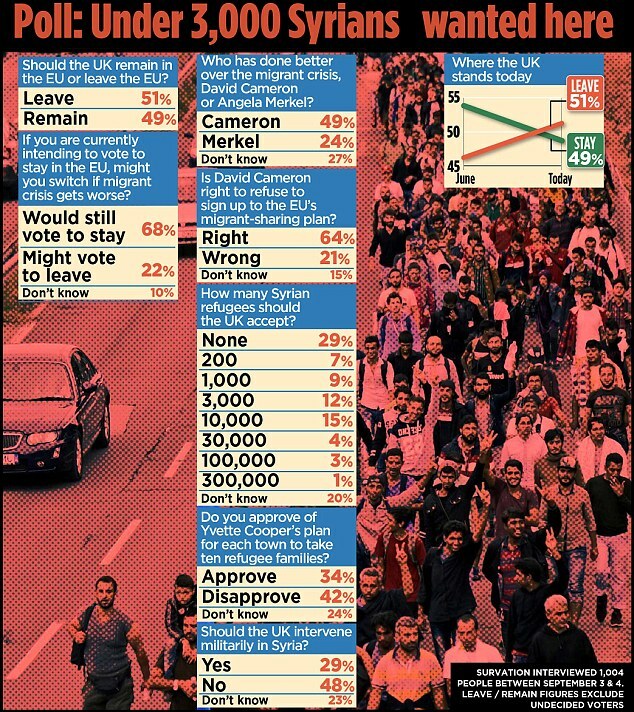 A majority of British people would vote to leave the European Union in the wake of the migrant crisis engulfing the continent, a shock new Mail on Sunday poll has found. In October of 2002, after hearing all the nay-sayers whining about going to war to fight against terrorism, (and to protect our interests and defend our allies) I wondered; how exactly do we defend and maintain our freedom then? If not by the violent destruction of those who would threaten us, then by what means? There comes a time when even peace loving people have to fight. It seemed to me that far too many of us had forgotten the real issue in all of this - the people. More precisely, the American people - our Founding Fathers, our veterans, our military, our civil servants and even regular folk - those who have died or could die in the service of this country - in establishing, protecting and maintaining our freedom. If this isn't enough of a reason to go anywhere to fight anyone - to preserve the American way of life - then what is there left on this earth that matters at all? God help us! I made 'Blood of Heroes' to remind people that everything we enjoy in America today is the result of someone's sacrifice, that it is constantly threatened - and that it is still worth fighting for. Not a lighthearted thought, indeed. Hopefully, this site will remind us all of the human cost that has been paid for our freedom, our safety and our luxury. A price paid not just so you and I can vote and pray, but also so we can sit on the couch, watching TV, having 30 minute pizzas delivered to our doors. Even if you don't vote or pray, there is still plenty left worth fighting for. Think about that. With all the invective about "blood for oil", we are not only justified in going to war - we were obligated to do it - and to do it in every place on this earth that ever poses a threat to the American way of life. It isn't blood for oil. It's blood for freedom - the blood of our heroes. We owe it to them... and we owe it to our children. Period. We are lucky to live in the United States of America - and this privilege didn't come cheap. Our Founding Fathers were not cowards. They made immense sacrifices to establish this Great Nation in freedom - not the least of which was going to war with the enemy of that freedom. All of those who have fought in the subsequent wars and conflicts and those who are fighting today have continued to make sacrifices in order to defend those original ideals. Even now, our civil servants, particularly Firefighters and Police, are making sacrifices to maintain the quality of our lives in this freedom. If you are not willing to do everything in your power to defend this Great Nation, even taking up arms if it is necessary, then who will? If you will not defend America, that is your choice - but sit in silence and do not criticize those brave and valiant individuals who have the sense of duty, the measure of courage and the determination of heart to protect America... and, I might add, your cowardly soul. Some have written with criticism. One person said they thought that including the photo of the woman falling from the building was in poor taste. Well, I am sorry you feel that way, but reality isn't always pretty. That woman really did jump - and so did hundreds of others. Yes, the photos are offensive - not because they are graphic in nature - but because of what they represent. None of them are even close, visually speaking, to the level of violence on any major network during prime time. When I hear people make this charge, what I really hear them saying is 'I can't handle reality, I need to be in denial.' Well fine then, go back to sleep Virginia. Brave men will protect you. Just stop criticizing them for doing it the only way they know how, even if it is ugly. Some people would have us forget that a heavy price has been paid so that we can live in comfort and security, barely even noticing the reality of the world around us. But that privilege didn't just fall out of a box - it was established in blood. The fact that you are comfortable is no reason to take it for granted. On September 11, 2001 - taking it for granted was no longer an option. I am sorry if you feel that the depiction of actual events should be watered down into some kind of a Hallmark Card event, just so you can feel more comfortable. That kind of logic dictates that we may as well forget the whole thing. Sorry, not here. Not now. Not ever! If we cannot remember this for what it really is, then why remember it at all? I dare not take any real credit for this presentation. After all, it is only significant because of what it showcases. All I did was take someone else's photos, someone else's quotes and someone else's music and put it all together to try and remind us all of something we should never forget anyway. The email link is not here for my benefit, but only because I would hate to miss the opportunity to share this with even more people. Many viewers have contacted me through email to ask if they could have a copy to show at gatherings for emergency and military personnel, in their churches and at their schools. That is a huge blessing to me as it means even more people will be reminded. I hope you will take a few moments to reflect on what we have and who paid for it. Look up and thank God that you live free in a nation that is blessed by Him and defended by heroes. Romans 5:8,9 May God continue to bless America and all who defend her. Matt 13:13 Therefore I speak to them in parables, because seeing they do not see, and hearing they do not hear, nor do they understand. 14 And in them the prophecy of Isaiah is fulfilled, which says: 'Hearing you will hear and shall not understand, And seeing you will see and not perceive; 15 For the hearts of this people have grown dull. Their ears are hard of hearing, And their eyes they have closed, Lest they should see with their eyes and hear with their ears, Lest they should understand with their hearts and turn, So that I should heal them.' 16 "But blessed are your eyes for they see, and your ears for they hear; 17 for assuredly, I say to you that many prophets and righteous men desired to see what you see, and did not see it, and to hear what you hear, and did not hear it. Jeremiah 6:14--Peace, peace; when there is no peace. Will we learn from history? Will we listen to the warnings from our God? "This is what the Lord of armies has said: Everything will be taken from the rest of Israel as the last grapes are taken from the vine; let your hand be turned to the small branches, like one pulling off grapes. To whom am I to give word, witnessing so that they may take note? see, their ears are stopped, and they are not able to give attention: see, the word of the Lord has been a cause of shame to them, they have no delight in it. For this reason I am full of the wrath of the Lord, I am tired of keeping it in: may it be let loose on the children in the street, and on the band of the young men together: for even the husband with his wife will be taken, the old man with him who is full of days. And their houses will be handed over to others, their fields and their wives together: for my hand will be stretched out against the people of the land, says the Lord. For from the least of them even to the greatest, everyone is given up to getting money; from the prophet even to the priest, everyone is working deceit. And they have made little of the wounds of my people, saying, Peace, peace; when there is no peace." So now, our Main Stream News Media, co-conspirators with Obama and the anti-American left, are taughting another "Peace in our time" treaty with terrorist. Leaving four Americans behind bars in Iran (After all they are merely Christians and not black), the rush to peace at any price is pushing the world closer to that great middle eastern war which Revelation 9 tells us will kill up to a BILLION people. I can't even fathom killing on such a degree. It's seems impossible, but God's word says it is coming to past, and the clowns in this White House are making this disaster more real every day! If you don't read the Bible, you can not understand what is happening today! Get prepared, WAR is COMING- NOT PEACE! This is a scientific study on the effects of storage of eggs and quality and nutrition. In short, under 2 weeks, out of refridge and kept under 75 degrees in pantry is just fine. Oiled eggs, stay nutritious the longest, the icebox comes in second. In our opinion, the best freshest eggs are those used within 1-4 days of laying-- Own your own hens, in other words. In tropical countries like Nigeria, egg preservation is a serious problem. The common practice is to store under ambient condition due to lack of refrigeration facilities and erratic power supply. Four crates of fresh table eggs were bought from the University of Agriculture, Makurdi farm and preliminary investigations of egg weights, Haugh unit, pH and yolk index were carried out before storage and found to be within standard. Thirty eggs were stored under ambient condition with and without application of oil respectively. The other group of thirty eggs was refrigerated. The initial weights were in the range of 60 – 69 g which reduced drastically. All other quality indices like the Haugh unit, the yolk index and pH declined drastically within the four weeks of the storage especially those that were stored under the ambient conditions. Those stored under refrigeration and those that were oiled and stored under ambient conditions (32 + 2 °C) maintained high quality standards in all the quality indices evaluated. The microbiological result also showed higher bacteria, yeast and mould count on those stored under ambient condition with the initial count of 5.0 × 103 at first week and 2.8 × 107 at the fourth week while the oiled and refrigerated eggs had values of 5.0 × 103 at week zero and 7.2 × 104 at week four of storage respectively. It is suggested that application of oil on eggs before storage can be practised to ensure retention of good quality eggs especially in the tropics and most developing nations of the world. Eggs are laid by females of many different species, including birds, reptiles, amphibians and fish but the most often consumed by humans is the chicken (Table) egg (Wikipedia, 2012). Chicken eggs provide a well balanced source of nutrients for man of all ages. Chicken egg, whole and hard-boiled, contains 12.6 g/100 g protein, 10.6 g/100 g fat, 1.12 g/ 100 g carbohydrate and 647KJ (155Kcal)/100 g energy. Due to the protein content, the United States Department of Agriculture (USDA) categorised eggs as meats within the Food Guide Pyramid (Howe et al., 2004). Eggs are declared as A (Jumbo) quality must have at least 72 Haugh Units, eggs of B (Extra large) quality must have more than 60 Haugh Units and eggs with Haugh Units lower than 30 are not for consumption as a shell egg (Faris et al., 2011). Chicken eggs consist of a protective egg shell, albumen (egg white) and vitellus (egg yolk) contained within various thin membranes. Egg shells act as hermetic seals that guard against bacteria invasion (Wikipedia, 2012) and the shell membranes function to retain the fluid of the albumen and also to resist bacterial invasion (Hassan and Aylin, 2009). A young hen produces eggs with thicker shells and longer pores than older hens. The egg shell colour is caused by pigment deposition during egg formation in the oviduct and can vary according to species and breed (USDA, 2011). All foods have a limited shelf life which will vary depending on the food and storage conditions. Eggs are very perishable food products. Careful preservation of edible eggs is extremely important as improperly handled eggs may contain elevated levels of Salmonella bacteria that can cause severe food poisoning, hence the USDA recommends refrigerating eggs in order to prevent the growth of Salmonella (Wikipedia, 2012). The application of coatings on eggs, on the other hand, can be justified since they maintain the functional properties of food by decreasing moisture loss and gas transport (oxygen and carbon dioxide), hence the application of coating on eggs reduces weight loss and maintains internal measurement such as albumen and yolk (Nadia et al., 2012). Though oiling of eggs is very effective in slowing down reduction in albumen and yolk quality, it does not replace the need for cool storage (Faris et al., 2011). The internal quality of eggs starts to decline as soon as laid by hens (Roxana and Usturoi, 2012). The major difference between freshly laid eggs and stored eggs are albumen pH and albumen quality (Albumen height) (Nadia et al., 2012). Albumen quality, a standard measure of egg quality, is influenced by genetic and environmental factors such as temperature, time and humidity of storage (Roxana and Usturol, 2012). An old article - BUT USEFUL!